It was a couple of weeks back that I got an e-mail from Paul Hansen over at AVO America. He let me know that Ross at AVO Japan would be collaborating on a very special new D1 Grand Prix built together with the guys from Droo-P. I instantly knew what he was talking about, it could have only been Hibino's Toyota 86 which will be replacing his old and trusty AE86 starting from next month at the first Round of the 2012 season in Odaiba. Ross told me the car would be sent up to his workshop once Droo-P down in Okayama would be done with the chassis prep, ready to accept one crazy EJ25 motor! Once I got the OK from Ross that the car had arrived at his shop in Tokyo, I didn't waste any time. I wanted to see what this 86 looked like, after all it's not every day you get to check out a race car build of a model that isn't even on sale yet! 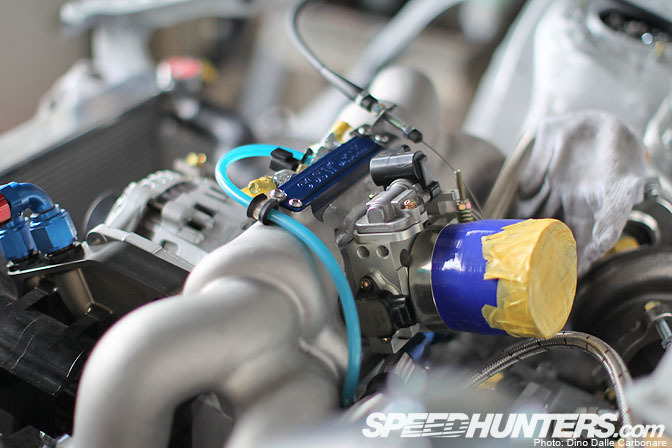 Upon my arrival I found Ross busy at work, finishing up the intercooler piping…. 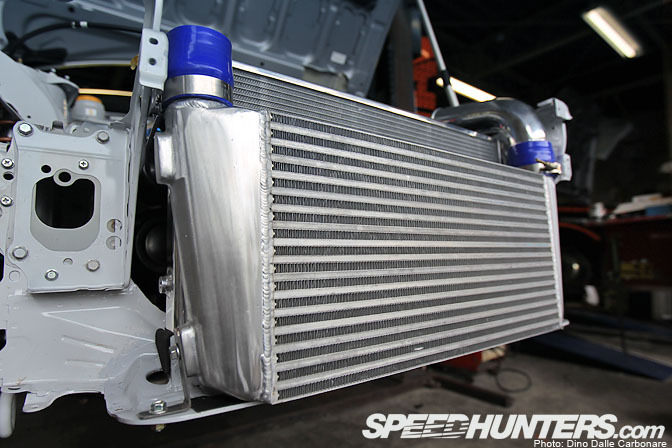 …all custom made internals and an anti-surge attachment which will soon be added around the intake. …and of course an oil reservoir tank, a rather big one at that holding a massive 12L of the finest synthetic oil out there. 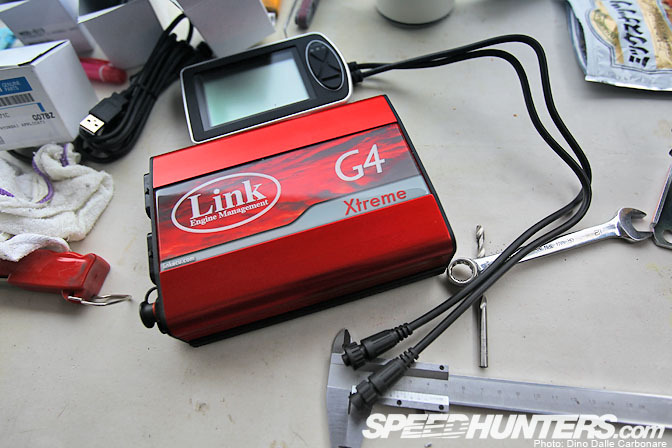 …along with the Link G4 ECU. The custom wiring loom and electrical system was being painstakingly created on the day of my visit too, but more on that in Part 2. …to data log as many parameters as possible in order to see how the engine, along with the rest of the ancillaries, behave under the stresses of drifting. 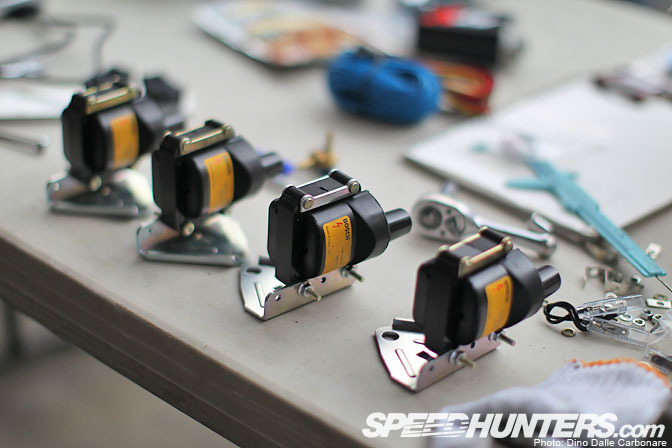 …with a very compact Hollinger 6-speed sequential. 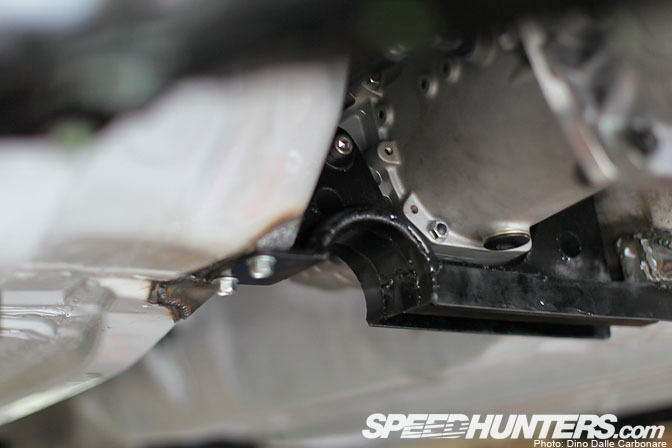 …and the subframe that was fabricated to hold the sequential in place. You can also see the rounded off section where the custom exhaust will pass through once completed. These guys aren't wasting anytime are they...I knew it would only be a matter of time before someone stuff an EJ25 in there. That is a bloody fantastic build. Excellent writeup! 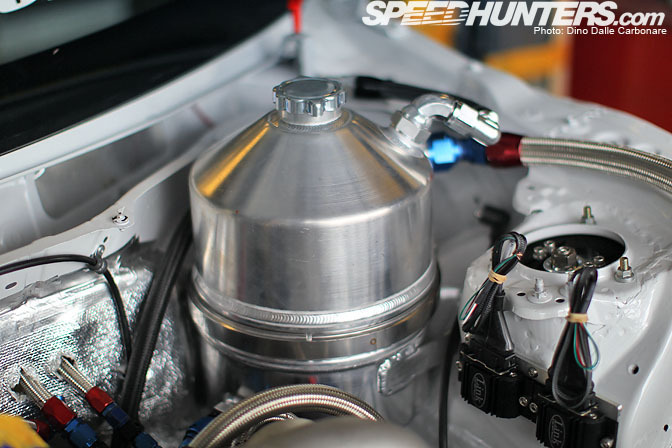 Wish I could visit them and have a look..
Lester, Scion/GReddy racing drift FR-S also has Cosworth EJ25! Very bad location for the dry-sump oil tank. The oil tank should have been located in the cabin, on the floor, where the passenger foot-rest is. Much better weight distribution that way. The I/C piping could be significantly shorter. 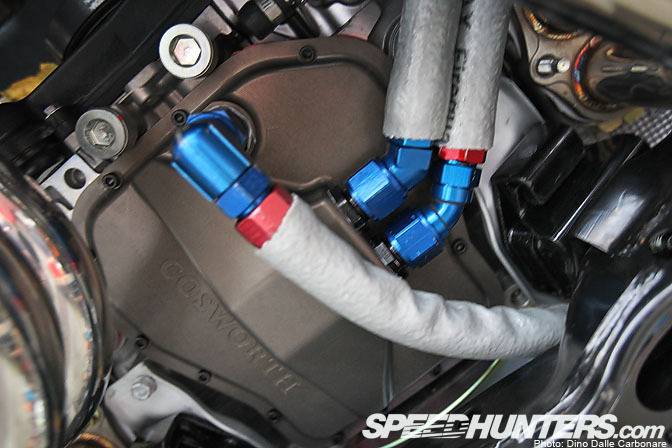 The Cosworth intake manifold can be rotated 180 degree, with the TB facing forward and having the piping even shorter with an S bend path. Other than that, I don't understand why the Japanese refuse to build a proper rollcage with the X-bars on the main loop. They always end up attaching the harness at more than 10 degree angle (which is not safe for the spine in case of a collision). p.s JDMized. Are you serious? honestly who do you think you are? its a race car. a tool to do a job. there are time constraints etc, sometimes compromises are made. do you have any idea how hard it is to build a car like this? where no one has done anything like it before? if the AVO tech doesnt think its worth the extra effort/time to put the oil resovoir in the cabin/reverse the intake, then im going to back him, not you, some internet hack. any feature on Orido's V8 powered GT86? oh baby!!!! what a machine. cosworth... 86... two words which should have met way before this!!!! 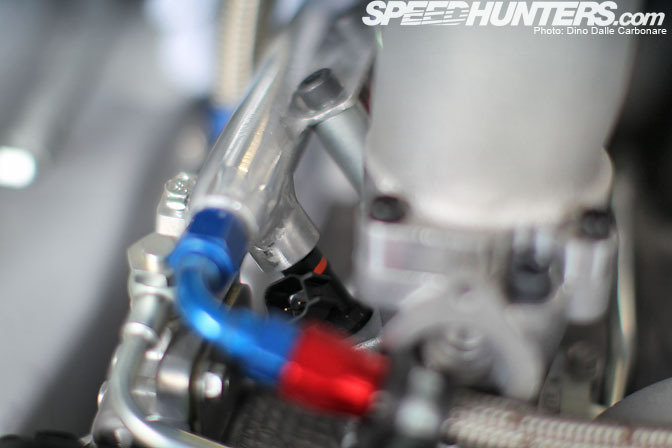 I find it odd that they didn't decide to flip the throttle body forward for shorter piping and faster response. 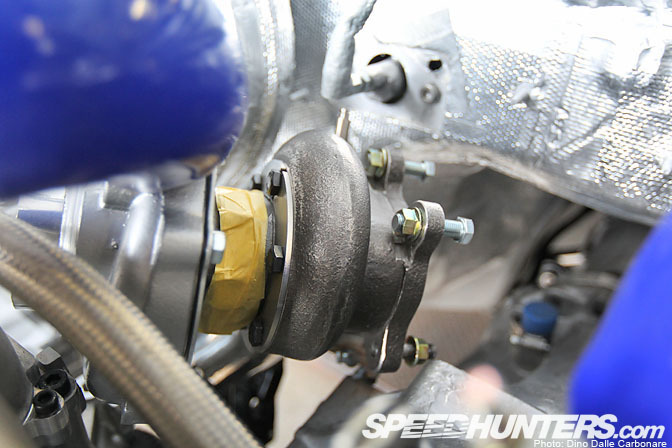 It's simple as making a bracket to move the alternator to the left (looking from the driver's seat). Says "an anti-surge attachment which will soon be added around the intake" but the anti-surge is the type of compressor housing, and it's already on there. 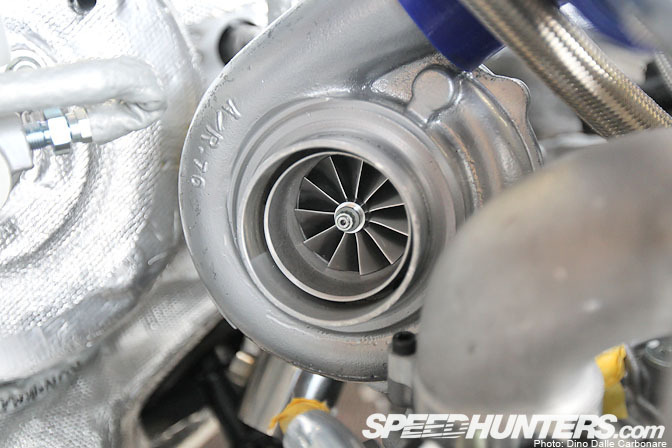 Also says its a stainless turbine housing- Doesnt look like one? @ Dimitri, you probably could'nt be more wrong, the EJ series engine has been so highly developed and modified, and its dead clear just how much better throttle response is with the manifold reversed when running a front mount. And seriously what were they thinking putting all that oil up so high? Also does anyone know the idea behind those headers they look badly thought out to me? 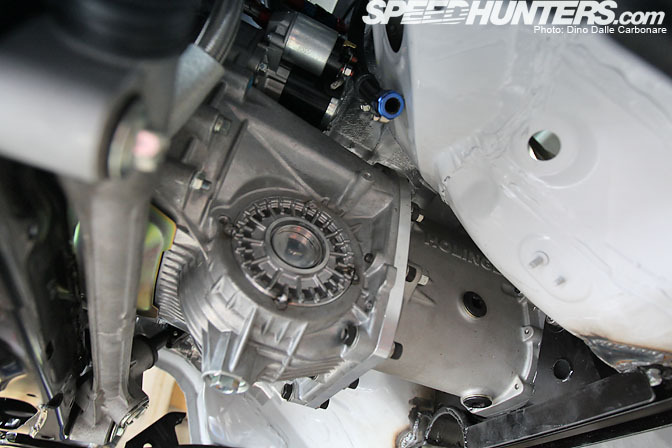 Interesting to see the hollinger uses the 4wd front section on the gearbox and the the front driveshaft holes sealed up! Was hoping for a big capacity stroker, high compression, individual throttle body engine for this car but that Cosworth will be loads of fun. @JDMized. 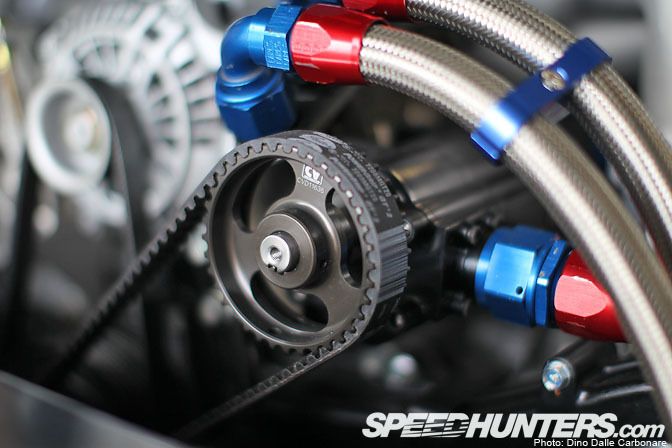 So where's your super-JAY-DEE-to-the-EMM-max-ultra-drift-attack-weapon post on speed hunters? Stop hating. This build looks amazing and I'm sure I'm not the only one who thinks so. Looking forward to part 2! I know it's a race car, and details are very important. I don't think AVO's mechanics are tool, but they could have looked into it. There are many ways of building a racecar. 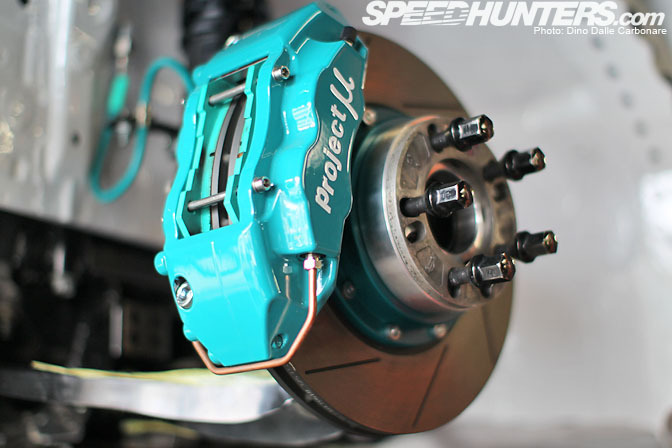 You are saying that because this platform is brand new and there aren't many tuning companies that have been modifying it to this extend, it's ok to have the harness attached at more than 10 degree angle? It's not a news that attaching the harness at more than 10 degree angle is unsafe for the driver, and it doesn't take a new platform to do this mod. Since Ross (or whoever is working on the chassis) has a time constrain; do it right the first time and won't have to touch it again. Same thing goes for the external oil tank. 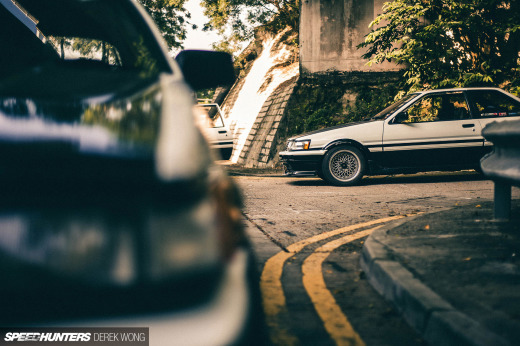 The 86 was designed with a very low CG concept in mind. Installing a 12 liter (about 30lbs) tank in the engine bay wouldn't benefit the car's handling as much as if it were located lower (in the foot-rest for example), inside the cabin. Aside from the fact that the oil wouldn't heat up as easily being behind the firewall. As far as the Cosworth intake manifold. 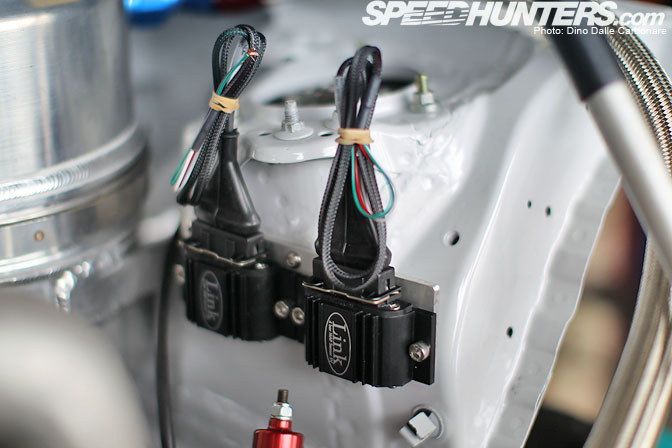 Tyler Hara designed the manifold so that it can be flipped 180 degree, having the TB facing forward, allowing the intercooler piping to be even shorter and allowing the turbo to spool up even quicker. Dimitri you have your opinion, I have mine Have a nice day ! @ JDMized - cool story bro. @ AVO - Awesome build! Great work! So pumped to see this thing completed and drifting around Fuji Speedway!! I would love to see this drifting and jumping on Ebisu's Minami circuit! But I'm wondering, who will be the first to modify the FA20/4U-FSE engine? 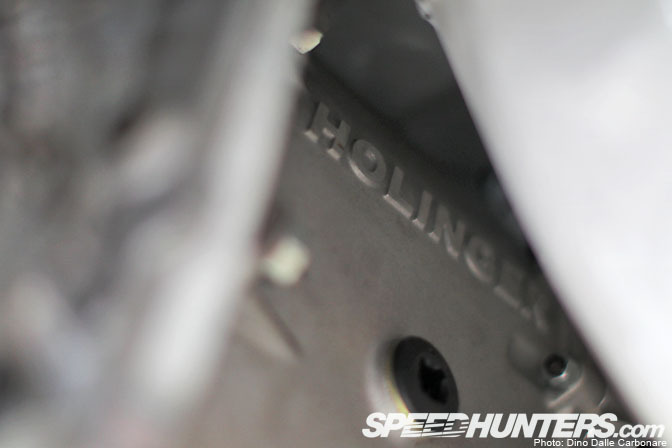 More info on the Hollinger 6-speed sequential please. 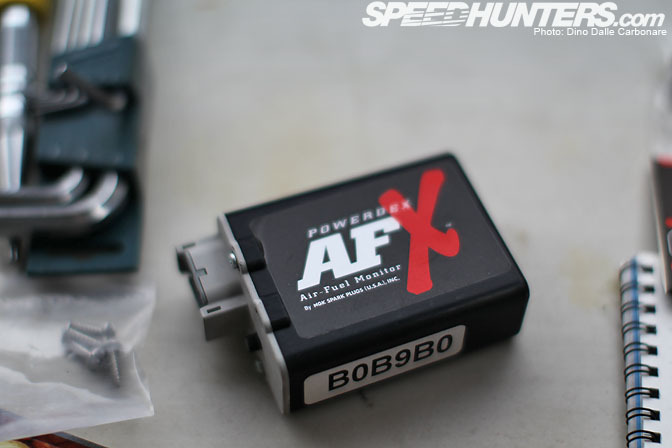 Is this just for RWD applications or could it be used for AWD applications as well? What is the reasoning on not flipping the intake manifold? Why is the safety regulations in Japan so much less strict than compared than the US? That roll cage looks like it belongs in a street car, not a pro drift car. 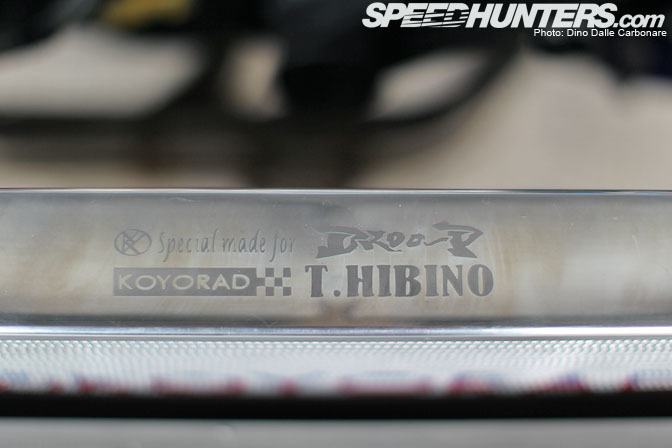 Target of 700HP ? In an 86 ? Wow, now I see why they swapped the engine. How much now in the big sedans : 1200HP ? D1 has gone crazy. We didn't do the rollcage, it came to us that way. So cannot really comment on *why* they did it that way. >Oil tank location: I'll ask, but I've a feeling it's a combination of finding space available vs. time vs. the fact that they are probably putting the passenger seat in and taking passengers around in the car. D1 in Japan isn't quite the same as FD in America, and a lot of "street" is left in for various reasons. It could be it was simply there temporarily while they got the engine running and started tuning. We were asked to build the engine, turbo, and get it tuned. A lot of the final details will be done at Droo-P's own shop. >flipping the manifold: I'm not sure. Space reasons, probably. It's not an Impreza, all new platform. Besides, with proper tuning (which isn't seen all that often) the minimal difference in volume the "extra" piping won't even be felt. 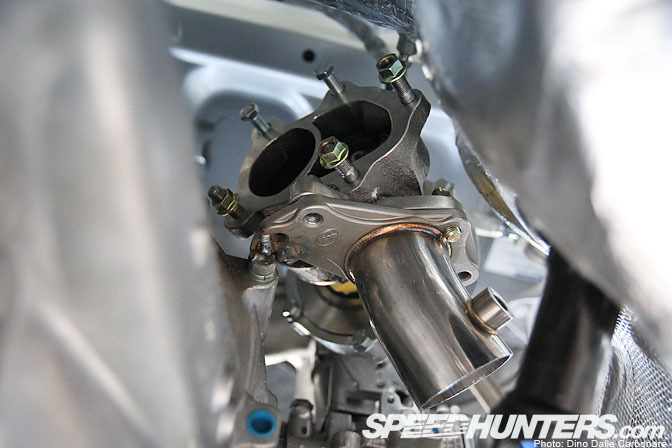 With a small turbo on a "street" build, flipping the manifold has benefits, but on a 600-700hp track build, not as much. > Hollinger: I'm pretty sure that particular application is for RWD only. I'm also sure Hollinger makes a version for AWD cars. >Safety Regulations: Well... it's not America. When I was shooting D1 cars back in the day, there were times where my only protection from the car drifting about 5 feet from me was a safety cone. That's just the way they roll. oil tank relocated behind the firewall yes, a must .rotated intake manifold and TB, optional.guys ,its all ready been stroked plus its a small turbo ,sufficient enough for a spooling response.Do it rite 1st time?of course but when Hibino finally get to do his shakedown and when/if he discovers not much hp/torque AFTER fine tuning,then flip the TB and bigger turbine would be the option.its a matter of power vs handling that Hibino will decide......anyways, bigups to Droop and AVO for making this 86 a proper beast coz dats WASSSUP !!! Custom fabbed-parts on a spanking new car? I'm all in! I'm excited to see how this thing will perform! Looking good!! JDMized comments usually annoy me but I have to admit there do appear to be a few things that could have been better thought through with the car, although none of us here are an expert on everything are we? Oh, I forgot one detail. It's not the compressor housing that's stainless steel (why make heat transfer on the cold side easier? 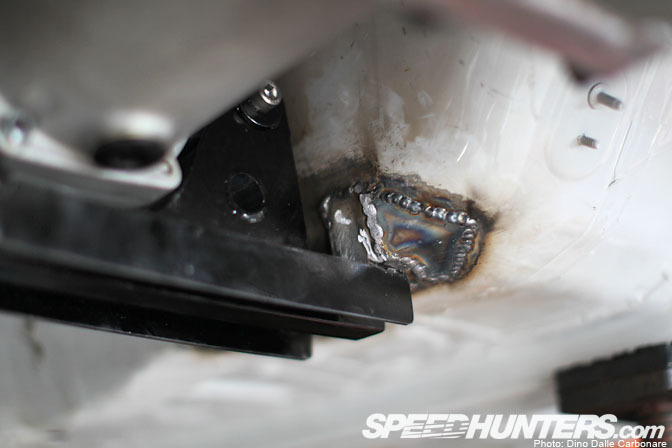 ), it's the hot side, the exhaust housing, that's a stainless steel mixture. It allows for another 200 degree's Celsius over the traditional nickel-iron mixtures used by most other companies. @AVOturboworld: thanks Paul for clarifying the point I addressed. I appreciate it. I wish the D1Grand Prix was less of a "circus" and more "serious oriented", for lack of words. Anyway, thanks for taking the time and answer those issues. Update - talked to Ross about the install, so this is from the horses mouth. Oil Tank Location: We were instructed to put it up front by Droo-P. Pretty logical reason for it, too. Everybody is right, it's better to have behind the firewall for ideal balance, and that's what Ross wanted to do. And that makes sense for a track car. But this is a *drift* car, they don't want *any* weight in the rear. They want the rear as light as possible, and run 3-4kg springs back there. Essential for breaking the rear loose. And I was right, it runs with a passenger seat, it's a rule of D1 over in Japan. It's mainly so they can stuff fans in the car and run them on some demo runs (I've done it, it's a surprisingly comfortable ride). Awesome article, and a fantastic job by the Japan AVO office, I have the incredible benefit to access the knowledge of Ross in Japan, Terry in Thailand and of course Lee with AVO Australia, the professionalism of Ross is second to non, his knowledge is probably only surpassed by Terry and its awesome that they guys from Australia have had the opportunity off the back of ten years of hard work to be able to be a part of this project. 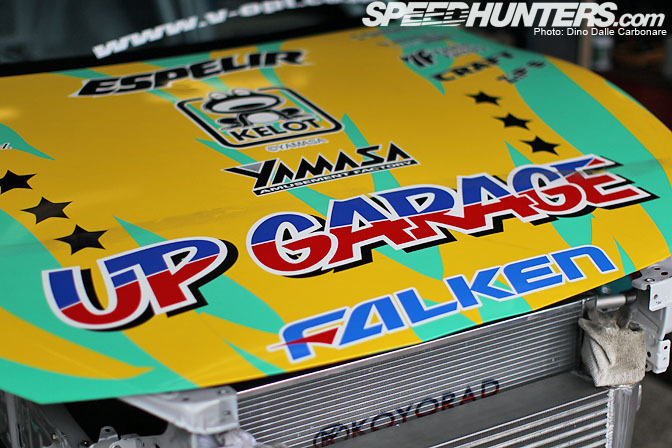 Congratulations to you all, hopefully we will get to see AVO Japan's time attack car out in Australia for WTAC in August. Keep up the good work guys, best of luck with the D1 project too. 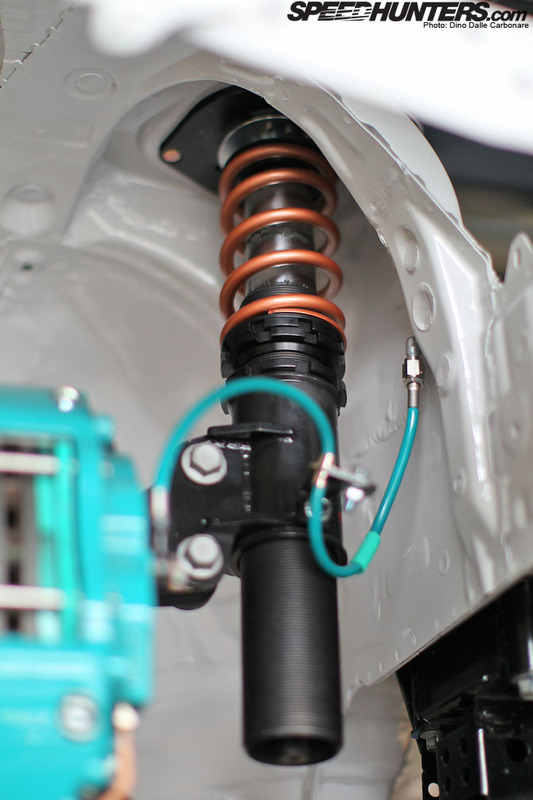 Any updates on the DG-5 coilovers for the 86?